Highlight : 1)It is made of high quality material, durable enough for your daily using. 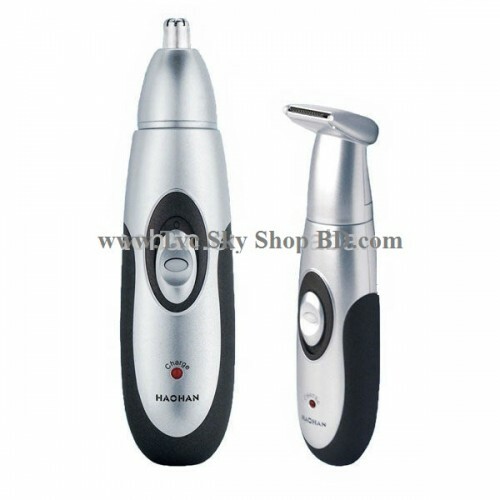 2)Professional personal shaver, great traveling companion with light weight design. 3)Stylish shape, best choice of gift for your lover or buddies. 4)Curved, hypoallergenic and stainless steel blade. 5)Rotary blade system for effective trimming our overgrown nose and ear hair. 6)Smooth, motor provides quick and painless movement. 7)To remove the unsightly facial hair from face,nostril and ear, higher security provided. 8)Safety cone head guides the hair into the blade and protects the skin from direct contact. 9)Cute white brush to remove the discarded hair in your trimmer. 10)Rubber sliding ON / OFF switch, easy to grip.